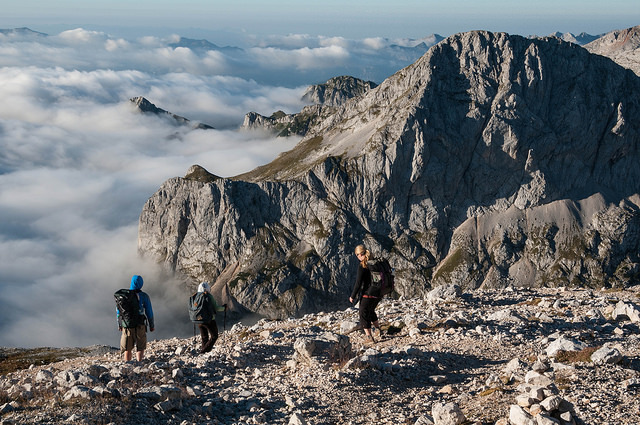 Slovenia's great long-distance trail winds on a 550km Odyssey along the varied and spectacular northern and western spines of this fabulous and relatively undiscovered country, passing through its best scenery, including the outstanding Julian Alps. This is tough walking in high, remote mountains, on which you will have to be self-sufficient in places. Come prepared. This is Slovenia's great long-distance trail, which winds on a 550km Odyssey along the varied and spectacular northern and western spines of this fabulous and relatively undiscovered country, passing through its best scenery, including the outstanding Julian Alps, where it climbs the country's highest and best known peak, Mount Triglav, at 2,864m not huge but nonetheless immensely striking. The trail well reflects the country's beauty and variety. Because it spends so much time on the highest ground, you (literally) see a lot of the country and thus get a strong feel for its individuality and topography. Most of the trail (indeed most of the country) is limestone (the term "karst" is derived from the name of a Slovene region), showing dramatic evidence of its periods of glaciation. The mountains' extensive and gorgeous forests are a glory, and they shelter wildlife ranging from ibex to eagles, marmots to chamois. High and perfect meadows alight with famously riotous wildflowers provide vivid counterpoint. You will also see plenty of Slovenia's remarkably unchanged rural heritage, perfect mountain villages and remote farmsteads offering an insight into traditional ways of life. Slovenia has always been a backwater, often invaded and usually part of someone's empire, from the Romans to the Hapsburgs. The River Soca (in the Julian Alps) was a bloody but relatively little-known Austrian/Italian battle front of the First World War. While it became part of Yugoslavia after WW2, Slovenia avoided the genocidal post-communist Balkan conflagration of the late C20, and indeed has always looked more west than east. It has to be said that to walk the whole trail would subject you to the law of diminishing returns. The first stage-and-a-bit is across forested plateau. 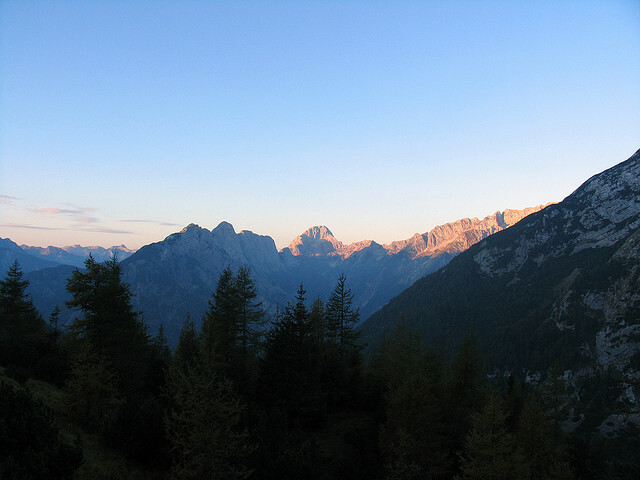 It is stages 3 (in the sheer and rugged Kamnik-Savinja Alps); 5 (the Karavanke range - gentler ridge walking); 6 and 7 (the high Julian Alps) and 10 (which includes the dramatic Gova escarpment) provide the main visual and high-range fireworks. Stage 9 is lovely hill-country and stage 12 the final - interesting - approach to the Mediterranean. 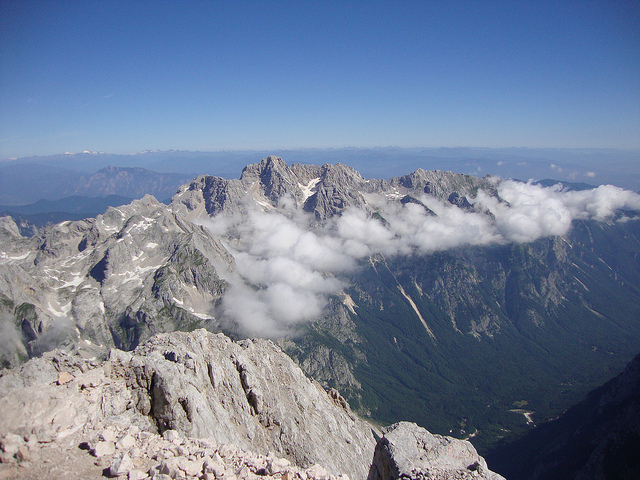 The limestone Julian Alps (think Dolomites without the crowds), around 150 mountains over 2000 metres high, fill north-west Solvenia (and extends into north-eastern Italy), offering superb Alpine walking, with outstanding natural beauty and spectacular views. Most people who come walking in Slovenia head here first, with good reason. 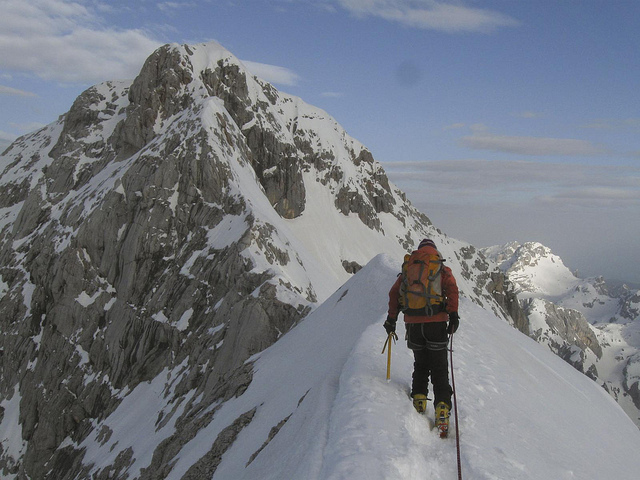 A traverse of the Jalps on the High Level Route would be a wonderful way to see a lot of the range. There are high refuges aplenty to stay in, so you can keep up in the highlands for some while, and delightful towns and villages down in the valleys for some R&R. You will eat well and can eat cheaply. THIS PAGE IS AT AN EARLY STAGE OF DEVELOPMENT. PLEASE help us BY giving us your comments AND SENDING PHOTOS! Thank you!